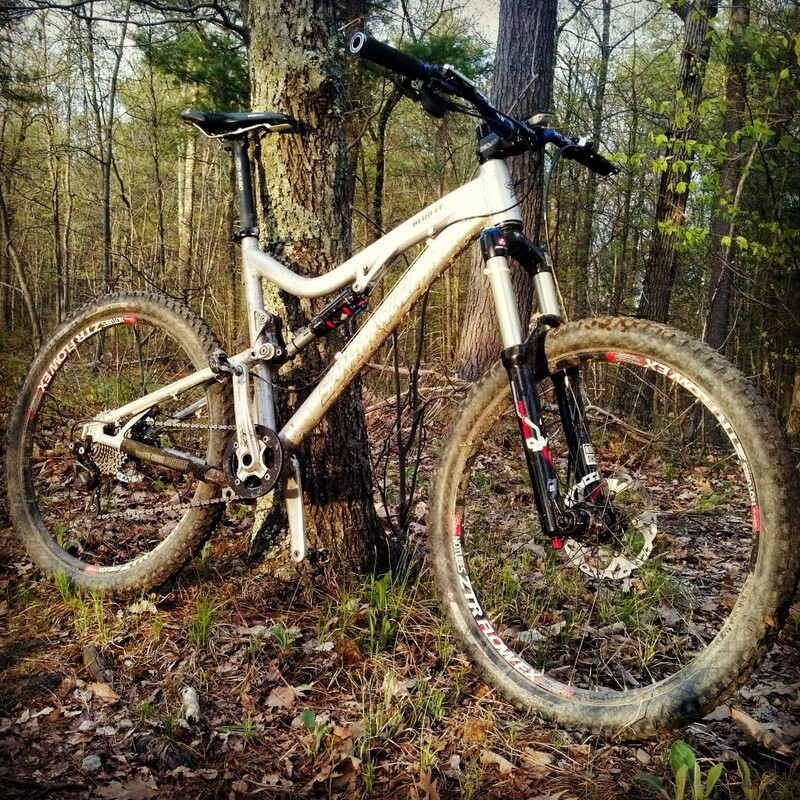 Most full suspension bikes use some sort of four pivot design that typically results in eight or more bearings pressed into the frame connecting chainstays, seatstays, a linkage and the shock to the front triangle. VPP suspension is designed much differently, with a one piece rear triangle and two linkages that hold everything together. 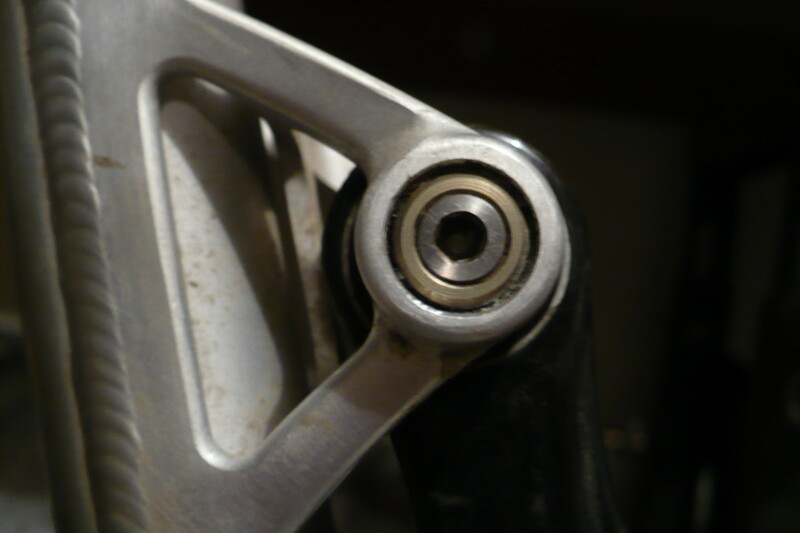 The bearings are pressed into the linkages and the whole package ends up being very stiff laterally. This is how the pivots appear on the surface. 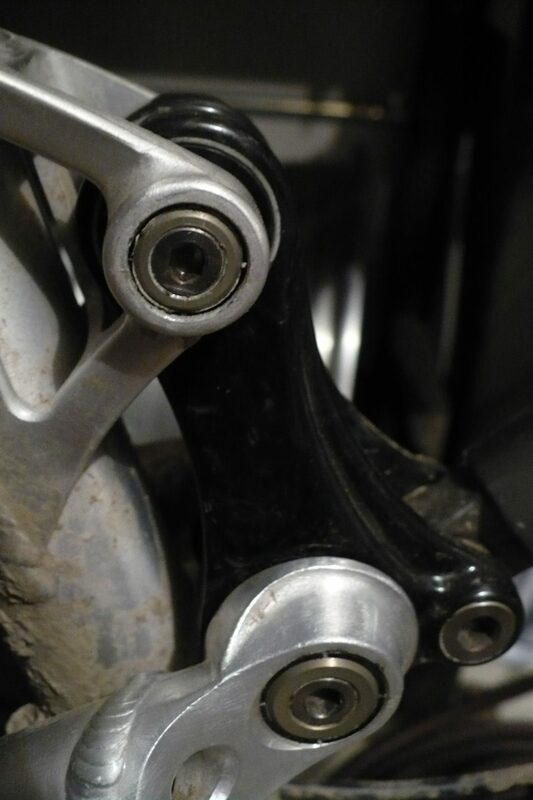 On other bikes, if you have a loose pivot, you check torque on the bolt and that can tighten it up. Not so here. 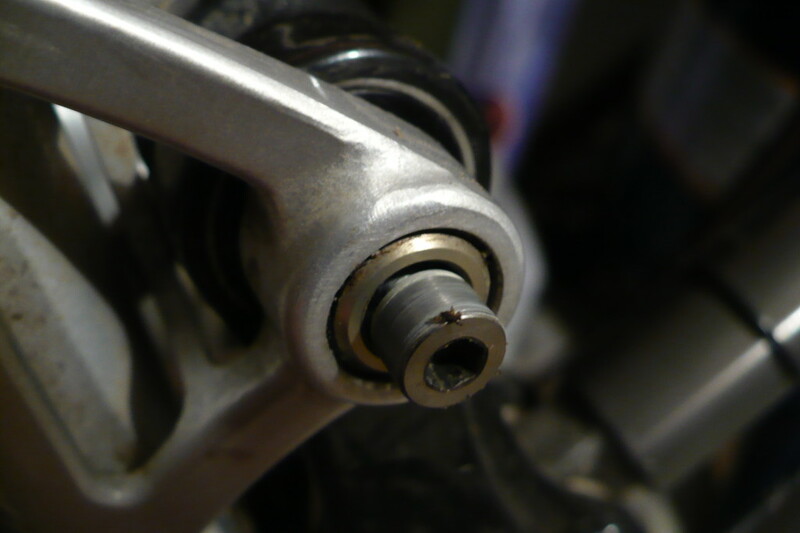 You can crank down on that bolt until it snaps, but if the pivot axle is loose, it won’t help at all. So let’s go in depth. Loosen the bolt and remove it. The gold-colored washer behind the bolt has an allen head in it, but it isn’t actually threaded into anything. You can use an allen key to turn in and pop it out of the pivot axle. Notice how it tapers down. 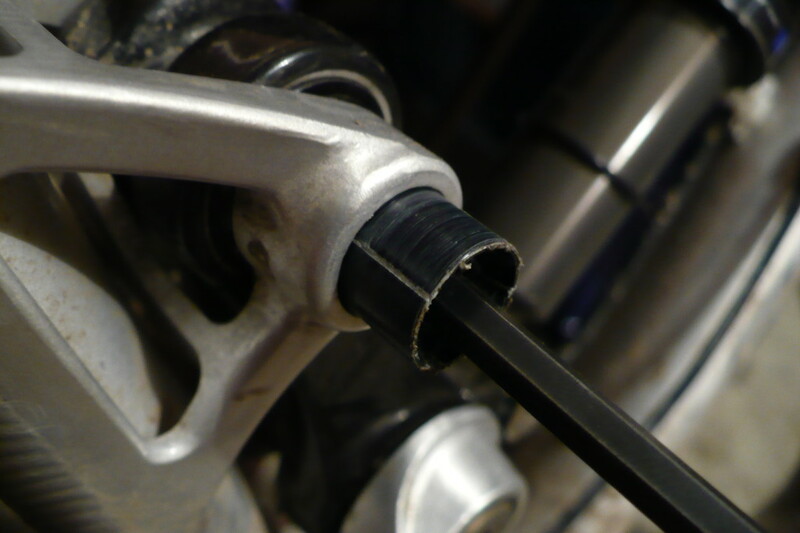 Now you can un-thread the pivot axle. The pivot axle threads into the frame and tightens up on the bearings. Notice how the end of the axle has four vertical slits in it. The conical washer tightens into these and expands them, locking the pivot axle in place so it can’t loosen or tighten. Brilliant! 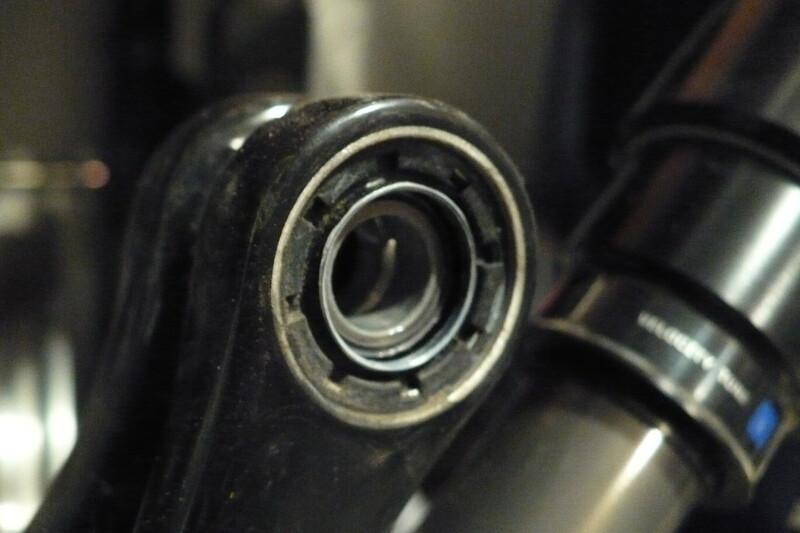 The bearings themselves are open on one size and have a removable cover that lets you re-grease them. The idea is that this system is so easy to rebuild that you can do it more frequently and the bearings will last longer. The upper link in its entirety. All the bearings are pressed into here, so if you do need to replace them you just unbolt the link and press them out in a vise. No need to awkwardly do it on the bike stand or remove chainstays, seatstays, etc. You’ll notice everything in my photos has grease on it. Grease it up thoroughly or you can get some wicked creaking. Once lubed up however they’re nice and quiet. 1. Make sure the black bearing cover is in place. 2. 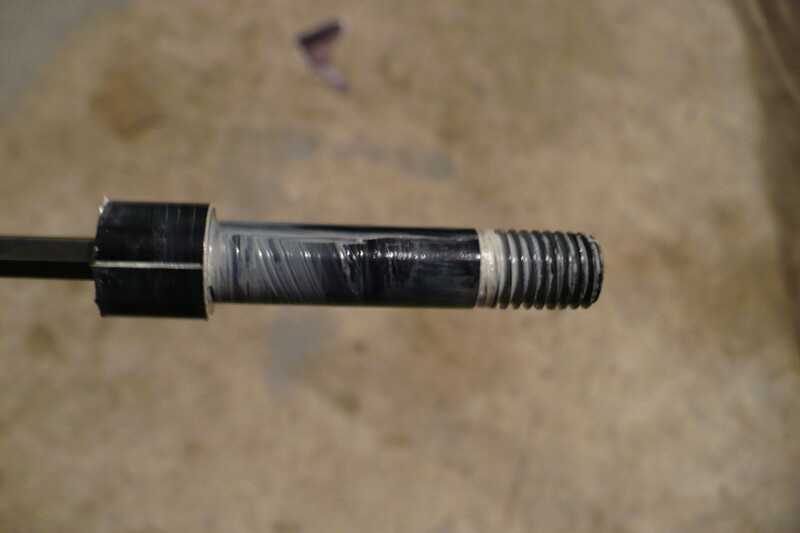 Slide the pivot axle into place and thread it in. Tighten until there is no play – SC recommends a torque value of roughly 35 in/lbs. 3. Place the gold washer into the end of the pivot axle, making sure the smaller end is facing the frame. 4. 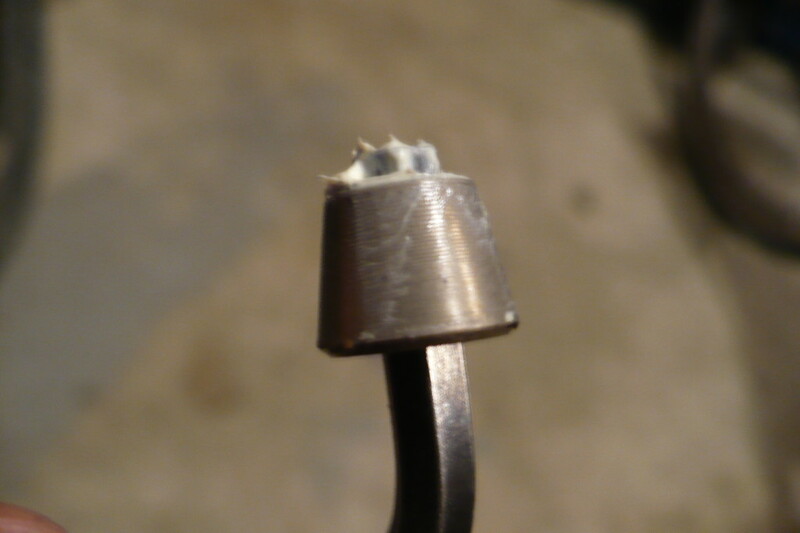 Thread and tighten the allen bolt. M5 bolts should be tightened to 100 in/lbs and M6 bolts to 110 in/lbs.